How cheap can a smartphone get? We don't know, but there's a new low cost smartphone in town that costs under $55 and has the latest Android version on it. We've been watching ever better smartphones becoming cheaper and cheaper over the years, to the point that we can now get a smartphone for under $50. So, the price alone isn't the new thing here - the difference is that now even these cheap phones have the latest Android 6.0 version on it. 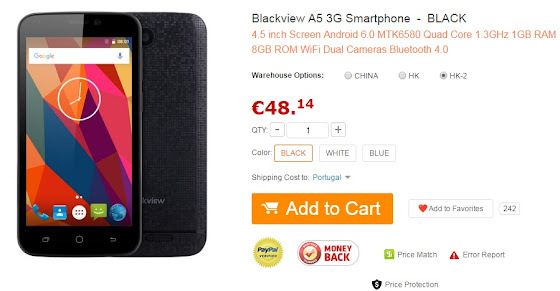 That's the case of this Blackview A5, with Android 6.0 Marshmallow and costing less than $55.